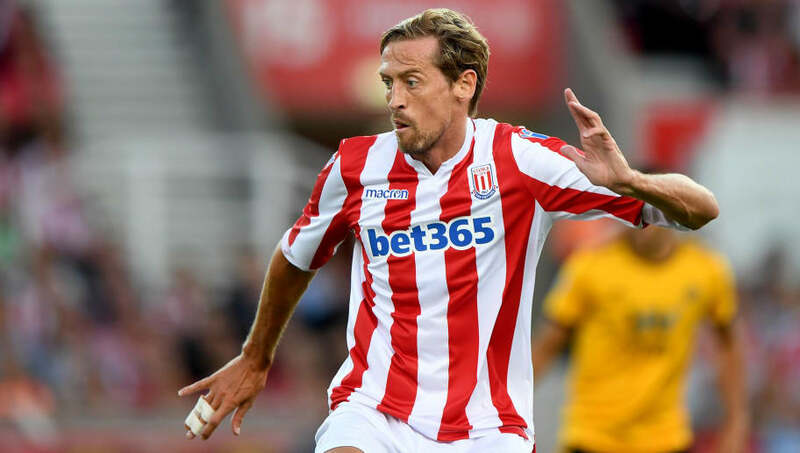 Stoke City striker Peter Crouch has revealed that he "would love" to rejoin his boyhood club Queens Park Rangers before he hangs up his boots for good. Currently tied to a contract at the bet365 Stadium until 2019, Crouch admitted that he still has strong personal ties to Loftus Road having spent two separate spells on the books in London. Despite being in the twilight stages of his career Crouch is adamant that he has no intentions of calling time on his career anytime soon, and he even admits that his family ties with QPR make returning to club a real possibility for him in the near future. "I've played for quite a few clubs but quite a few of them I hold dearly, really," Crouch told ITV London. "I think QPR is one of my favourites because that's where I started. Crouch's first spell with QPR came to an end in 1995 when he joined Tottenham, another side who the striker would represent on two occasions in his career and with whom he arguably become the most synonymous. The 37-year-old spent five years in north London, which included loan moves to Dulwich Hamlet and Swedish side IFK Hässleholm, before returning to QPR for a measly £77k at the turn of the century. Crouch would eventually go on to represent a number of clubs across the county, most notably Portsmouth and Liverpool. The forward has an FA Cup and Community Shield winners medal to his name, while his goalscoring record with England matches that of Notts County legend Tommy Lawton.